Review: alt-J - Auckland Town Hall, December 2017.
alt-J’s triumphant return to New Zealand last night at Auckland’s Town Hall marked the first of two sold-out shows at that venue, before they head down to Wellington to play a sold-out arena on Wednesday night. With their last visit being well over four years ago for Laneway Festival (they played back in 2013), fans had been waiting a very long time, and now with two more albums under their belt ('This Is All Yours' and 'Relaxer') and a brand new production set-up for the tour, the show was well worth the wait. 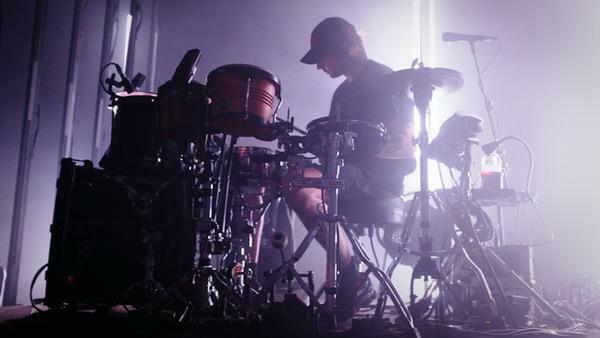 Opening with the first track from their 2017 'Relaxer' album ‘3WW’, the audience were immediately invited into the world of alt-J (which continued for their hour-and-a-half set), and what a world it was. The band’s frontman Joe Newman is known for his distinctively nasal vocal tone, but live it’s even more powerful - and combined with harmonies from keyboardist Gus Unger-Hamilton, the echoes of their voices rung out throughout the venue in each and every song. Matched with an equally stunning production set-up (designed by Jeremy Lechterman and Jackson Gallagher), lighting split the stage into three sections, with sets of illuminated lights running between each of the band members - ranging from different colours and designs for each song. ‘Deadcrush’ was a live highlight, with Unger-Hamilton’s precise hand-clicking into his microphone bringing the hip-hop inspired track to life, followed by his performance in ‘Nara’ seeing him play on a glockenspiel, while red light shrouded around each member. A short pause saw the band thank the entire audience, informing us all that it was their “first ever headline show in New Zealand,” something the audience was equally as excited about as the band. ‘In Cold Blood’ saw the standing audience in the downstairs of the venue move with delight, before a number of people formed triangles in the air with their hands during ‘Dissolve Me’. A crowd singalong of ‘Matilda’ was delightfully loud, before Miley Cyrus’ vocal sample in ‘Hunger Of the Pine’ kept the energy going for even longer. Closing out the set with electric and bass-heavy ‘Fitzpleasure’, Unger-Hamilton thanked the audience once again as the trio left the stage, before a thunderous applause brought them back on for a three-song encore. Returning for ‘Intro’ (from their debut album ‘An Awesome Wave’), ‘Left Hand Free’ and ‘Breezeblocks’, before the band wished the audience well - taking care to tell us all to “Get home safely,” and wishing us all a “Happy Christmas.” While scrunching up their setlists and throwing them into the audience and walking off stage, the audience cheered even more - and let's hope they don't take another four years to return. PHOTOS TAKEN WITH FUJIFILM’S NEW X100F CAMERA - click here for more info. MusicAlt-J - 'Left Hand Free' music video. 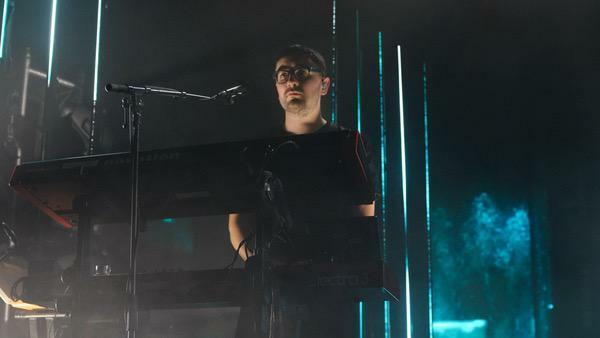 MusicInterview: Alt-J, an escape from normal. 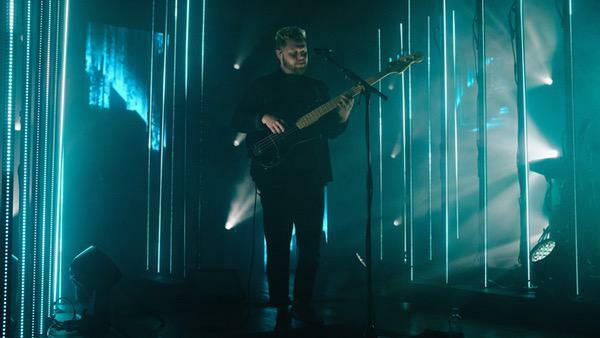 MusicWatch: Alt-J perform 'Breezeblocks' at Radio 1's Big Weekend. MusicMust-listen: Alt-J's new song 'Left Hand Free'. MusicAn Alt-J x 'Relaxer' appreciation post. MusicFact: Alt-J are Brockhampton fans. MusicAlt-J - '3WW' music video. MusicAlt-J performing 'Fitzpleasure' live on Letterman. MusicEllie Goulding releases a music video for her cover of Alt-J's 'Tessellate'. 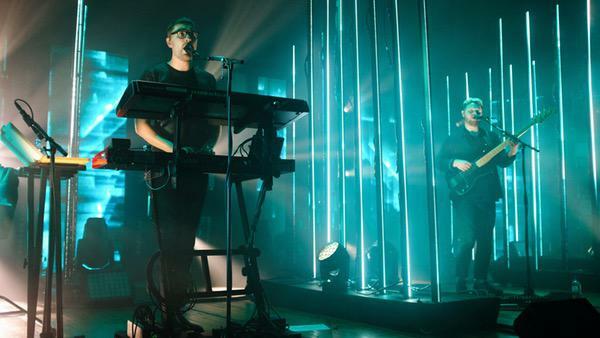 MusicWatch: Alt-J perform 'In Cold Blood' live on The Tonight Show.